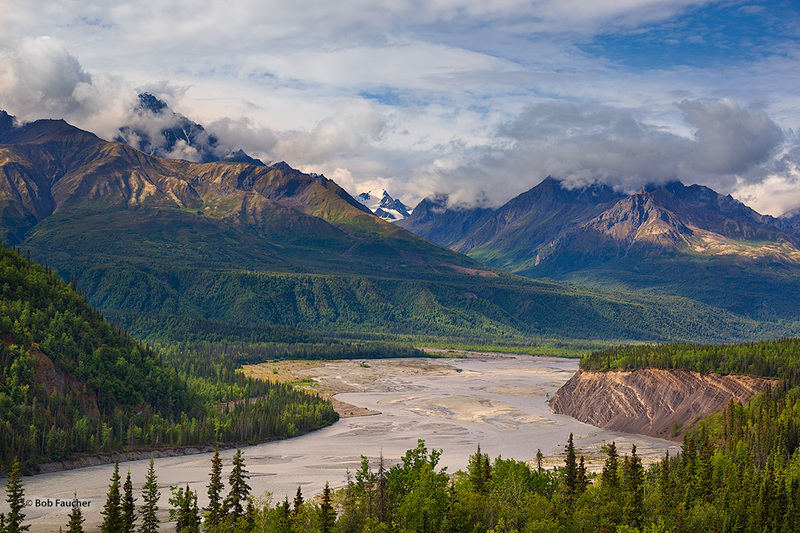 Chugach Mountain peaks—Mt. Sargeant Robinson and Mt. Goode—tower over the Matanuska River as morning sunlight highlights their flanks. Photo © copyright by Robert Faucher.